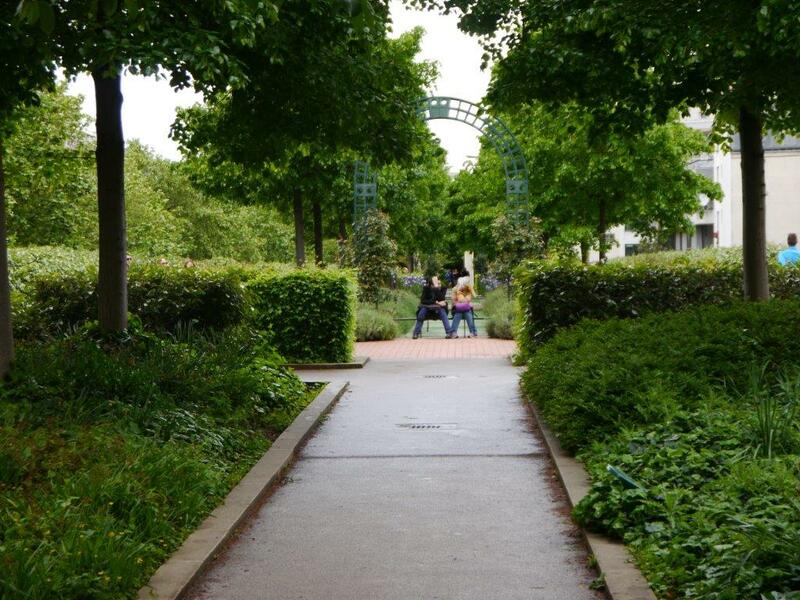 La Promenade Plantée probably isn’t something you’d do on your first or second trip to Paris but something I’d recommend if you’ve been to Paris several times, are wanting to go a little off the beaten track and like gardens and walking. I think about it as the day I walked several kilometres too far and injured my foot!! Don’t let that put you off as I’d definitely do it again. 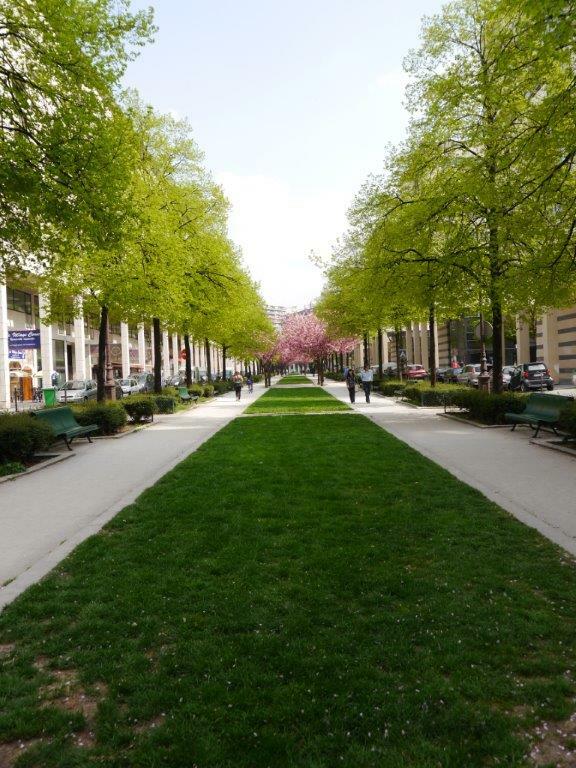 La Promenade Plantée, meaning tree-lined walkway, starts high above Avenue Daumensil in the 12th arrondissement close to Bastille and follows a 4.7kms route to Bois de Vincennes. Opened in 1993, it was the first elevated park in the world. 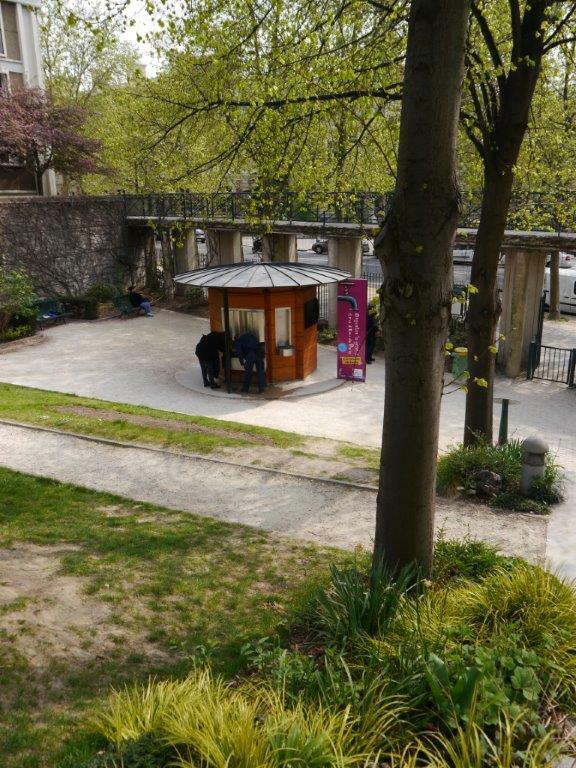 It was created by two landscape architects on the former Vincennes railway line between Place de la Bastille to Varenne-Saint-Maur. 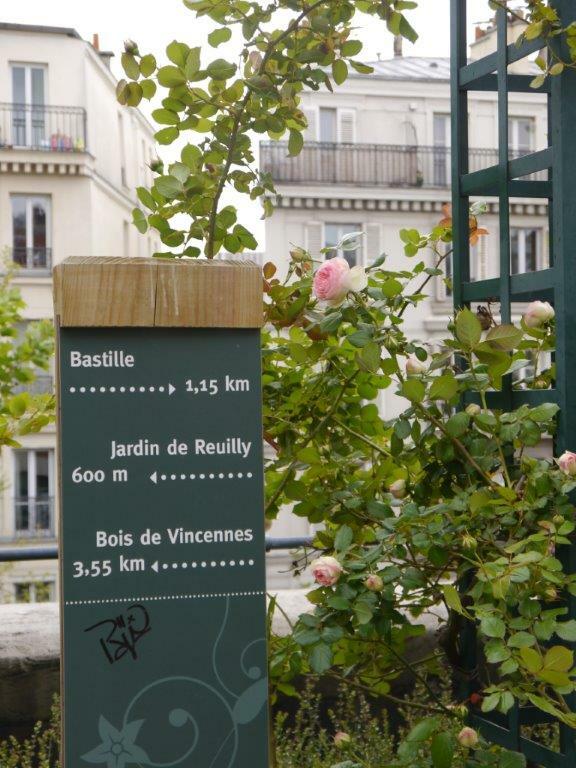 At the end closest to Bastille the parkway starts about 10m above the surrounding streets above the Viaduc des Arts. 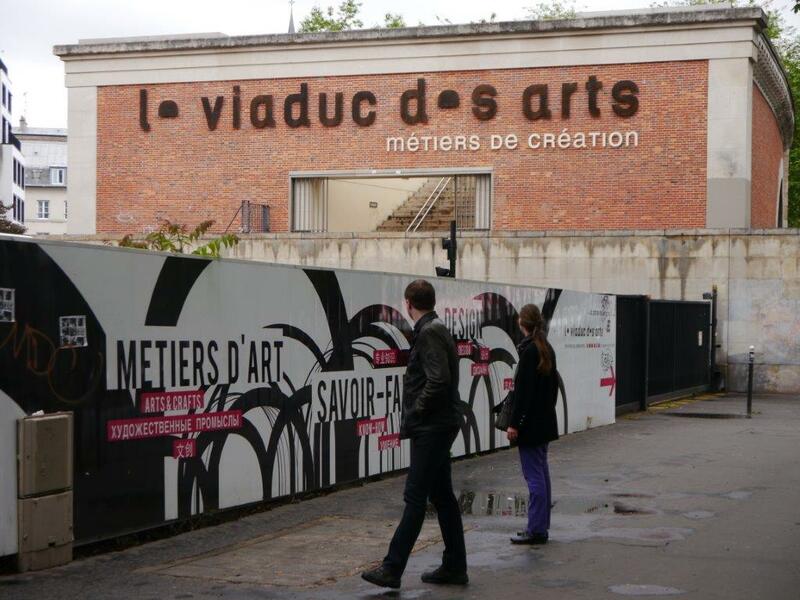 Under the arches of the former railway viaduct you’ll find shops and artists’ studios where you can buy arts and crafts. 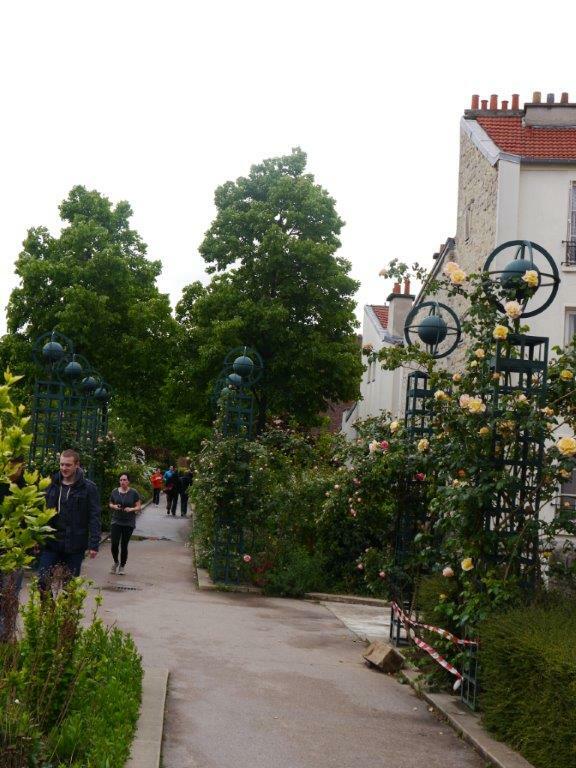 To get up onto the walkway you need to climb a number of steep steps or find a section that has a lift. This elevated western end is for pedestrians only but the eastern end at ground level is for both pedestrians and cyclists. The elevated part feels like a series of elongated garden rooms with little surprises along the way. 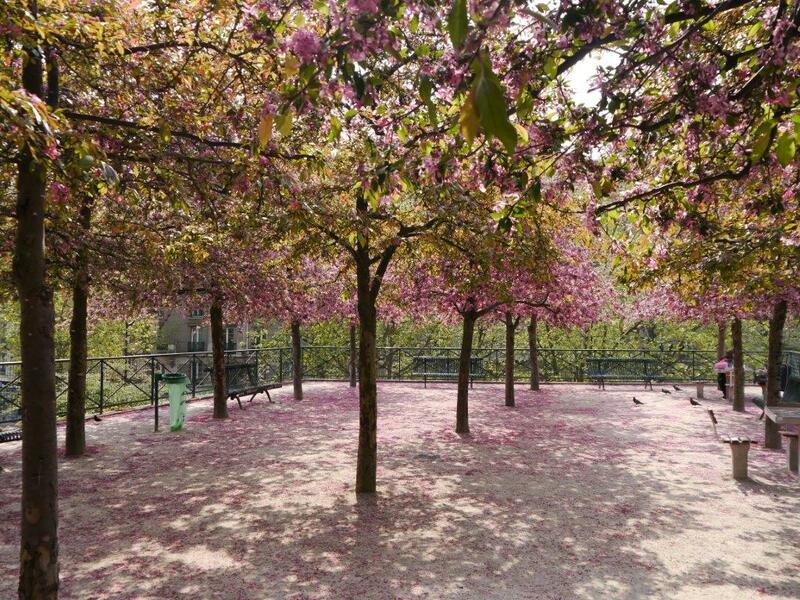 It’s thick with all sorts of plantings both low and high, flowering and green, from bamboo to flowering cherry trees with gaps between where you can look to the streets below or sit and relax on one of the many seats. You’ll come across long ponds, weeping willows and trellises covered in roses and in Spring, as we saw, beautiful beds of tulips. 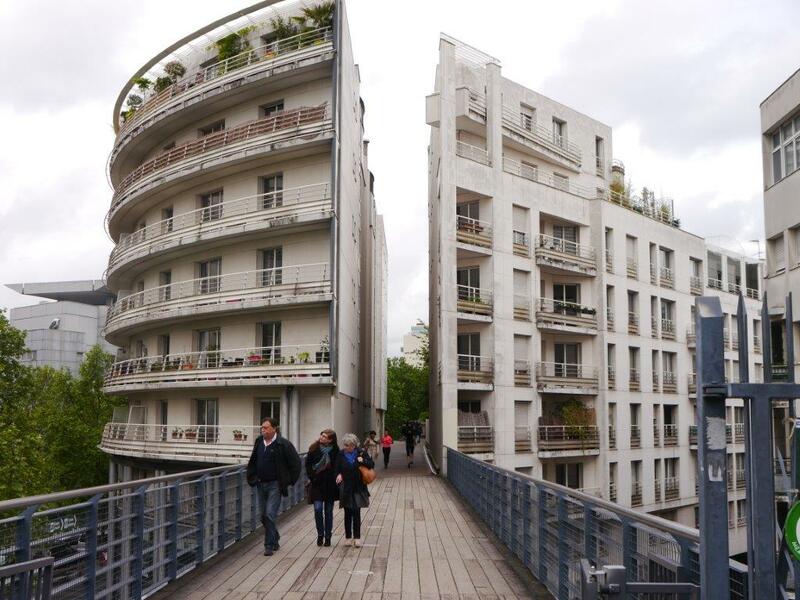 Before you reach the Jardin de Reuilly 1.5kms along the walk you’re suddenly surprised by the way the path changes to a bridge over a street and cuts through a modern apartment block. 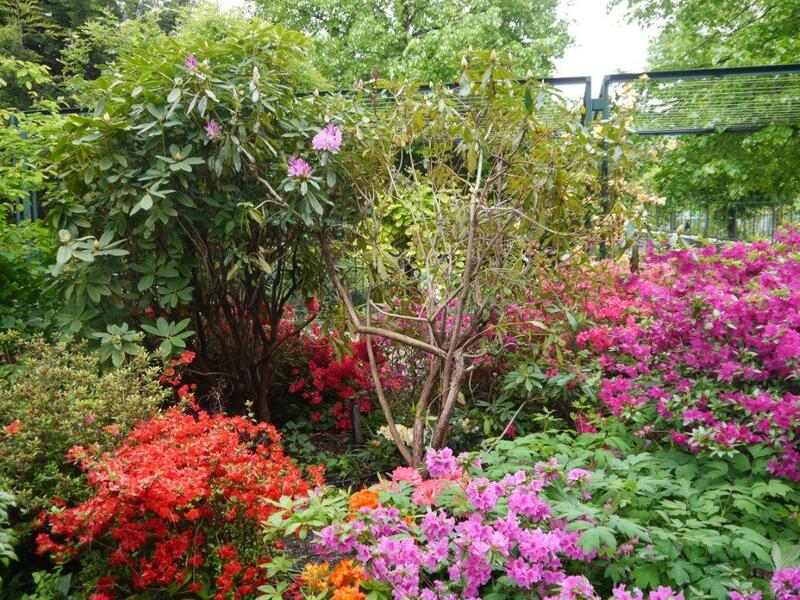 If you don’t feel like doing the whole walk Jardin de Reuilly is a good place to stop. The gardens here are set out on several levels with a flat grassy area which always seems to be in use for picnics, ball games and simply stretching out and snoozing. When we passed through the cherry trees were at their peak and absolutely gorgeous. The rhododendrons are also stunning. At the street level of the Jardin de Reuilly is La Pétillante (she who sparkles), a sparkling water fountain. In an effort of wean Parisians off the purchase of plastic bottles of sparkling water, in 2010 the city created the first public sparkling water fountain in France. Carbon dioxide is injected into tap water, cooled then it’s free for anyone to fill up. I duly lined up with others and filled my bottle. 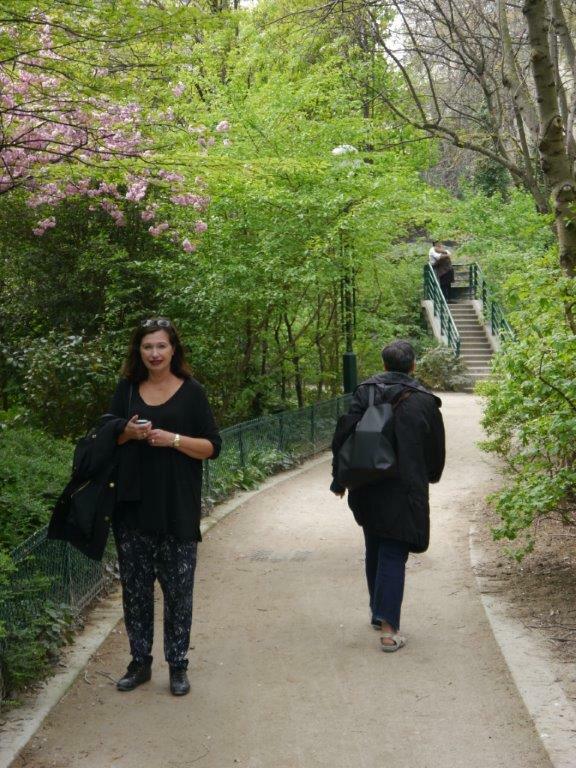 Following on from there the walk continues at street level along the cherry tree-lined Allée Vivaldi and then back to La Promenade Plantée, also known as Coulée Verte. Parts feel as though you’re in a forest with tall trees and low wild undergrowth – very cleverly and deliberately done. 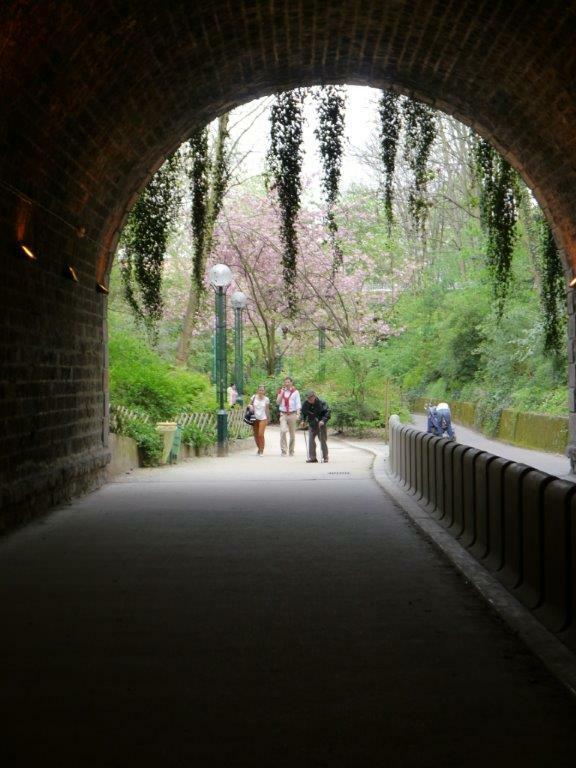 You pass through tunnels with draping vines that are actually bridges over roads. Near the end of the walk before reaching the Bois de Vincennes the path forks into two. We didn’t read the sign and realised too late that we had chosen the route where the final tunnel was closed for works. 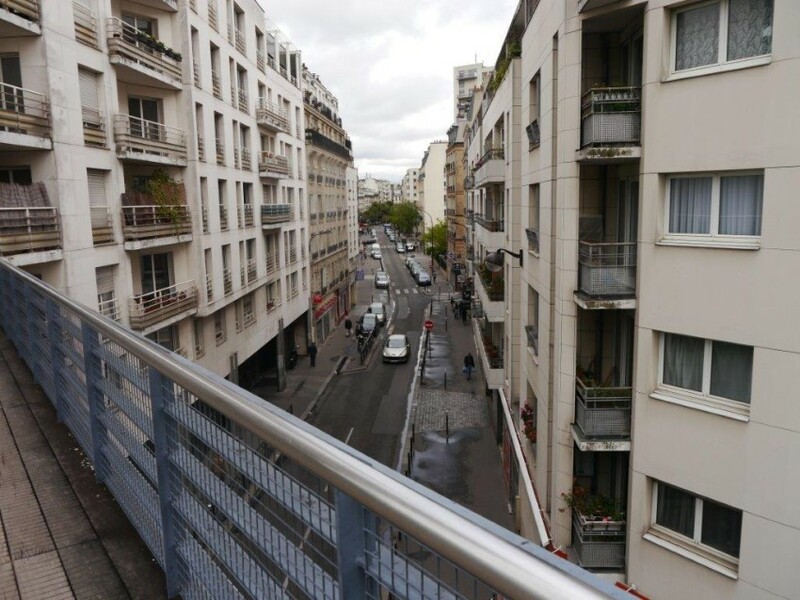 We headed up to the street and headed in what we thought was the right direction unfortunately going through another pedestrian tunnel ending up outside the Périphérique no longer in the City of Paris. 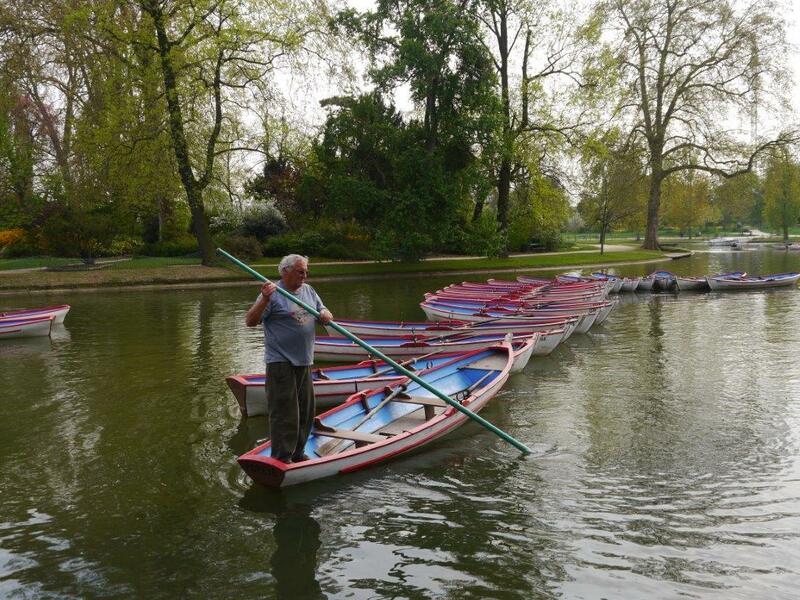 Finally, after several consultations of our map book we finally made it to Bois de Vincennes. 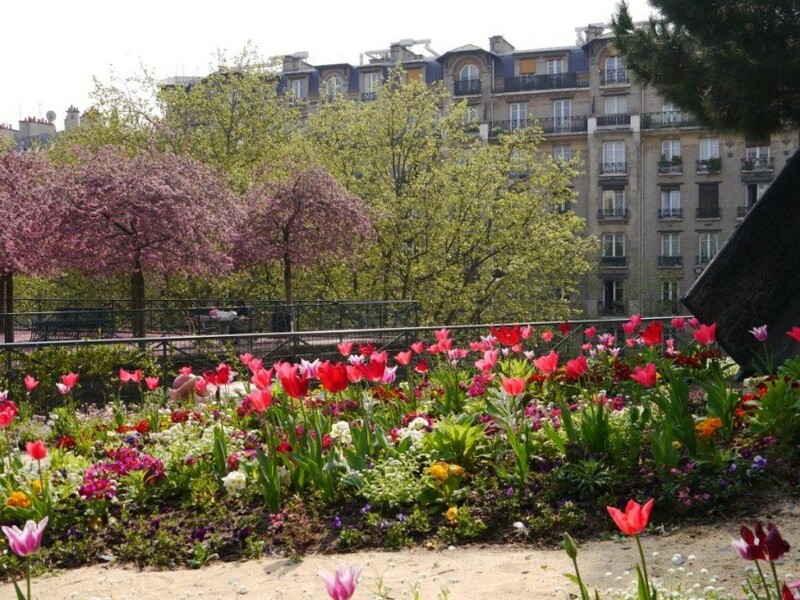 It’s the largest park in Paris and was created by Napolean III between 1855 and 1866. 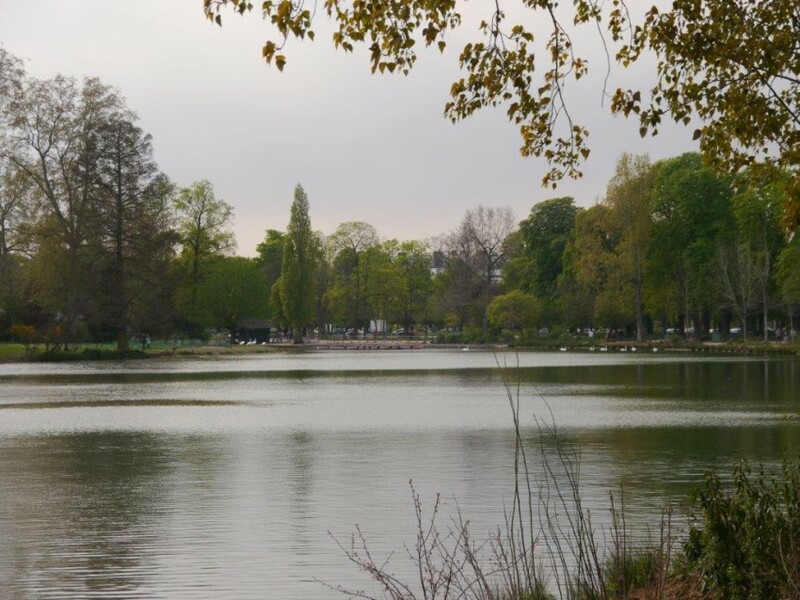 It includes a zoo, lake, an English garden, botanical garden, the Chateau de Vincennes, a horse racing track, large parklands and more. By this stage, rather foot sore, we only managed to walk a small part of the park. 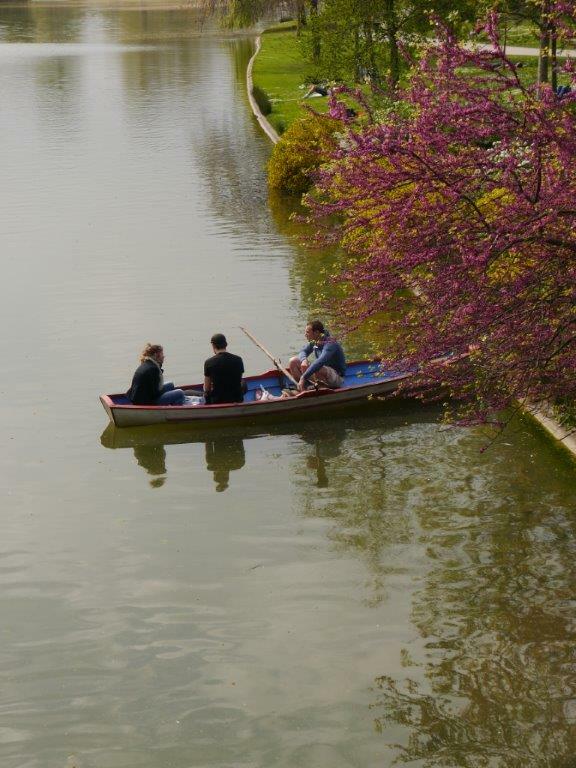 I can imagine during the weekends that it’s a great place for Parisians to escape to for a little taste of the countryside.